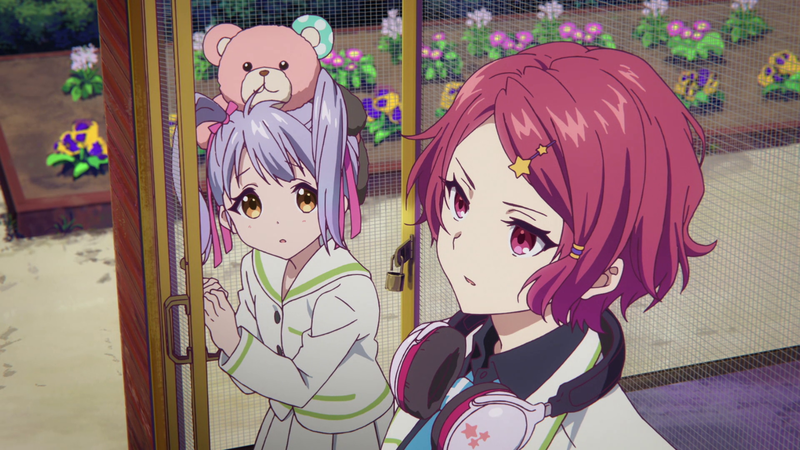 I love the cast of Phantom World, from the headstrong Mai to the polite, hungry Reina, and even Haruhiko makes for a refreshing male protagonist. His special quirks are derived from his thirst for knowledge and its application on the battlefield, rather than convenient circumstances that exist only to make him the strongest character, as we see in so many other shows. Even his flashiest move just brings out a cute dog familiar to fight for him. Haruhiko possesses an unassuming demeanor that levels the playing field between himself and his female compatriots, and it feels like all of the characters are part of a team, rather than a man and his harem. 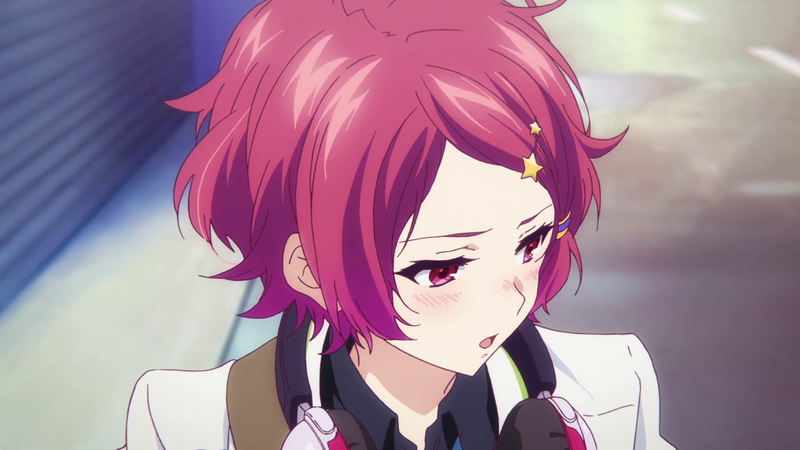 After watching the first episode of Phantom World, I hastily declared Mai to be my favorite character, but these last few episodes have made that decision much more difficult. Koito’s cool attitude, proclivity towards the male school uniform (at least the shirt), and use of sound as an ability make her a pretty strong contender. Not to mention, Maaya Uchida is one of my favorite seiyuu. 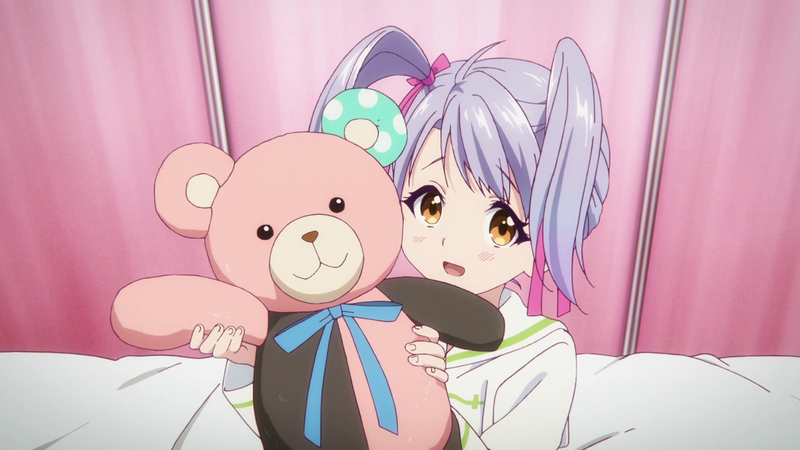 Kurumi is, of course, precious and in addition to sporting very curious, insect-like twintails, she can use a stuffed teddy bear to great effect in battle. Unfortunately, I didn’t think Koito’s character development was as fleshed out or as particularly interested as Reina’s or even Mai’s. A love of animals and the prospect of revenge just seem like weak motivations for a character. The presentation in the episode feels truncated, and while I get that each character has been the focus of a single episode thus far and that time is limited in that sense, I felt like I needed more time to really understand Koito’s past and why she acts so distant. Her backstory could have been more touching if we got to experience how events unfolded in real time, instead of the nonconcrete flashback we end up seeing in the episode. Regardless, we’re one step closer to having a close-knit party of characters, and that’s when things get interesting.